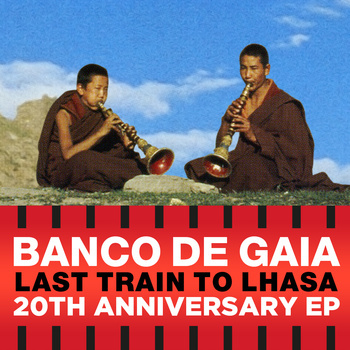 20 years ago Toby Marks AKA Banco De Gaia released one of the classic albums of modern electronica – Last Train to Lhasa – whose groove inflected, multicultural soundscapes helped to form the blueprint for much of today’s global electronica. To mark the anniversary of its release, Disco Gecko Recordings will release this June a limited edition, physical only (no downloads or streams) 4 disc box set, featuring previously unheard alternative and extended ambient mixes as well as a handful of fresh remixes by like-minded artists. To kick-start the celebrations, Banco De Gaia asked Ukraine’s AstroPilot and Dublin’s Silinder to add some 21st Century flavour to the title track. Dmitry Redko, the producer behind Astropilot, has shared a stage with Banco De Gaia at events on many occasions over the last 10 years and consistently impressed him with his approach and style. His remix is no less impeccable, as he harnesses Lhasa’s ambient elements to build a low intensity trance groover. Silinder is Dublin native Gavin Mulhall, who came to the attention of Disco Gecko after posting an unofficial remix of Heliopolis on SoundCloud. The mix was so well thought out, the label asked to use it as a free download to mark last year’s Maya 20th anniversary re-release. His progressive house rub is primed to set dance floors alight, with added weight at the bottom end and a slight increase in tempo.